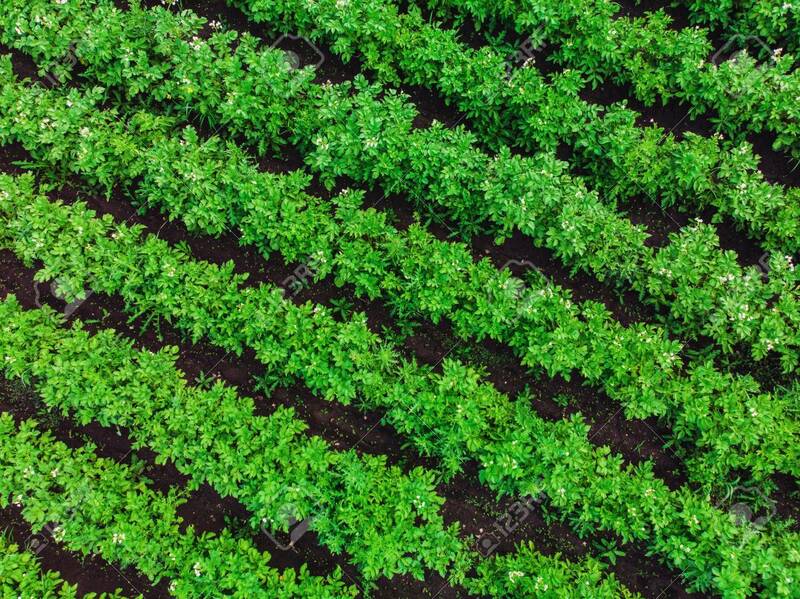 Aerial Drone View To Beds Of Green Ripening Potatoes Bushes. Country Field Of Potato In Row Lines. Fresh Bright Background. Top View. Nature, Harvest, Farm Concept Foto Royalty Free, Gravuras, Imagens E Banco De Fotografias. Image 113058840.